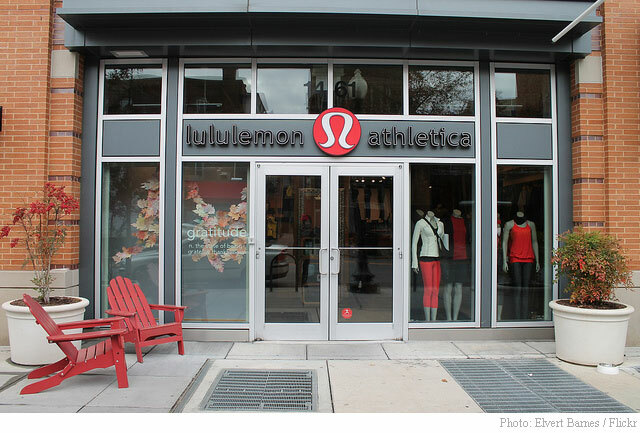 Citing a waning demand on core product and a deceleration in comparable store sales again in Q2, JPMorgan (JPM) analyst Brian Tunick stripped Lululemon (LULU) of his ‘Overweight’ rating Friday. Expected deceleration in same-store sales in the second-quarter “suggests waning demand on core product and ongoing execution issues at a time during which most of retail has seen a general pickup,” said Tunick in a research note to clients after downgrading the shares of the high-end yoga apparel maker to “Neutral” and slashing the price target to $42 from $56. The Canadian company on Thursday lowered full year guidance and reported a Q1 profit of $19 million, or 13 cents per share, less than half of the $47 million profit, or 32 cents, reported a year earlier due to declining traffic and near-term negative sales. Lululemon plans to open up to 42 new stores this year, and it expects to have 20 stories opened in Europe and 20 in Asia by the end of 2017. Separately, analysts at Robert W. Baird also downgraded LULU from an “Outperform” rating to a “neutral” rating in a research note on Friday. They now have a $44 PT on the ticker, down previously from $60. Despite the downgrades, shares of Lululemon — which have been steadily declining over the past year and are down more than 40% from their Oct 4, 2013 52-wk high of $77.75 — gained 36 cents, or 1%, to $37.61 on Friday. The stock has fallen 36% year-to-date. Deposit Taxes: Should We Prepare?